Hamilton Farmers’ Market. Unlike the other aspects of student life, cooking can be uncomplicated. This recipe is fast and easy to make regardless of skill level. Have a little more time on your hands? is recipe is made to serve four and is perfect for sharing a homemade meal with your friends or housemates. 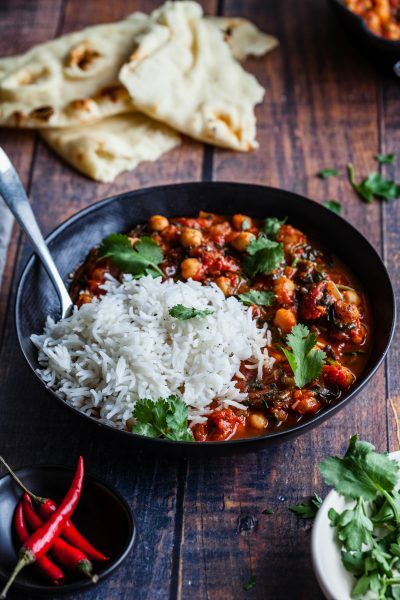 Complete your curried chickpeas dish with flatbread, naan or steamed white rice. 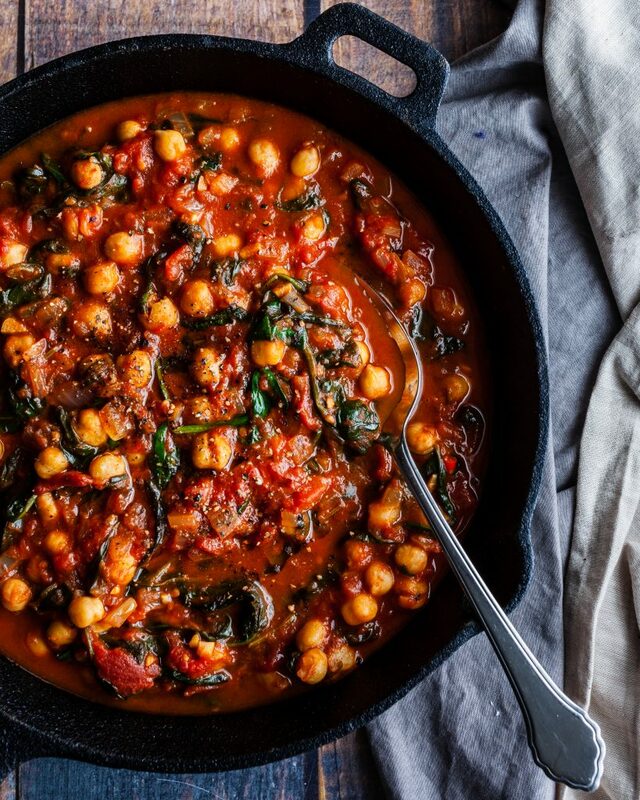 Curried chickpeas also taste better the next day and freeze well too, so make sure to make the full batch and freeze the rest for those tight days. ffles, there’s something for everyone try making in their own kitchen. 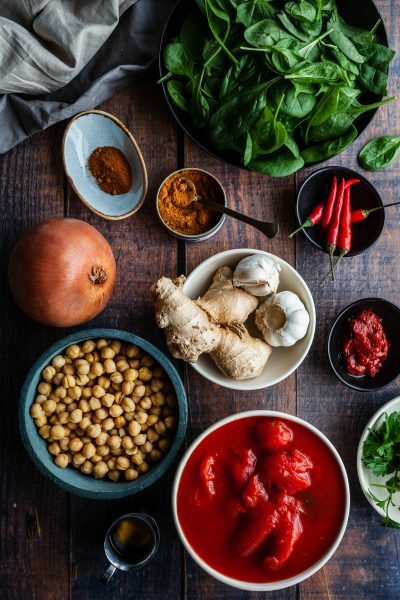 The Olive and Mango blog and Instagram feed are thoughtfully curated with photographs worth getting hunger pangs over, which may just be the push we need to get inspired by her recipes. 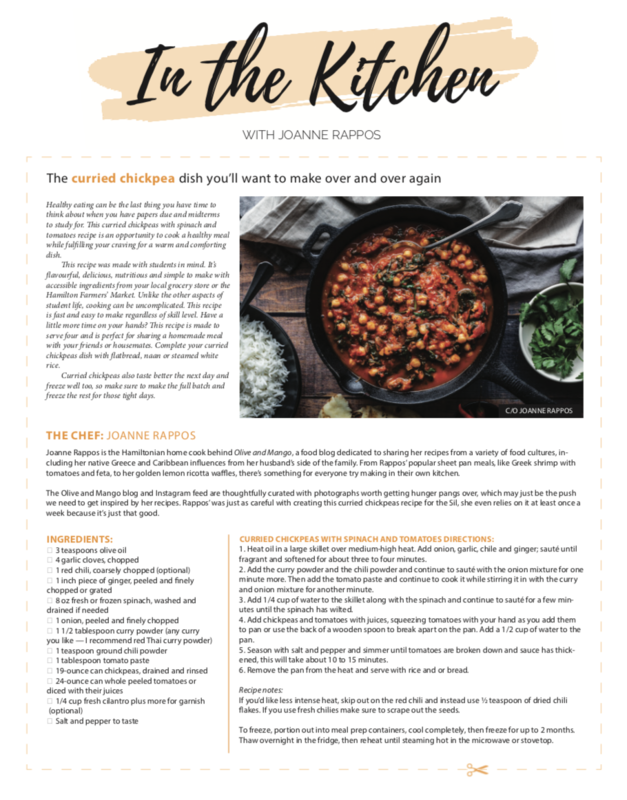 Rappos’ was just as careful with creating this curried chickpeas recipe for the Sil, she even relies on it at least once a week because it’s just that good. Heat oil in a large skillet over medium-high heat. Add onion, garlic, chile and ginger; sauté until fragrant and softened for about three to four minutes. Add the curry powder and the chili powder and continue to sauté with the onion mixture for one minute more. Then add the tomato paste and continue to cook it while stirring it in with the curry and onion mixture for another minute. Add 1/4 cup of water to the skillet along with the spinach and continue to sauté for a few minutes until the spinach has wilted. 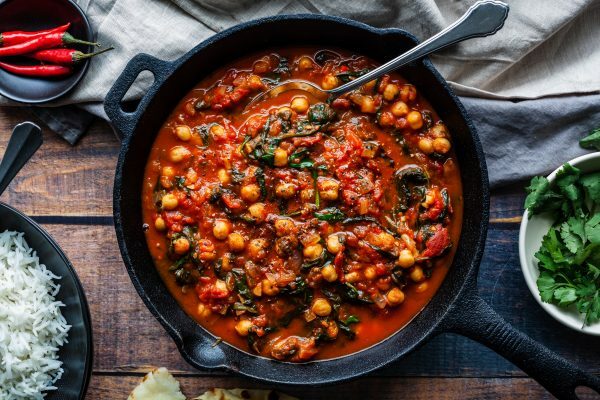 Add chickpeas and tomatoes with juices, squeezing tomatoes with your hand as you add them to pan or use the back of a wooden spoon to break apart on the pan. Add a 1/2 cup of water to the pan. Season with salt and pepper and simmer until tomatoes are broken down and sauce has thickened, this will take about 10 to 15 minutes. Remove the pan from the heat and serve with rice and or bread. Recipe notes: If you’d like less intense heat, skip out on the red chili and instead use ½ teaspoon of dried chili flakes. If you use fresh chilies make sure to scrape out the seeds. To freeze, portion out into meal prep containers, cool completely, then freeze for up to 2 months. Thaw overnight in the fridge, then reheat until steaming hot in the microwave or stovetop.